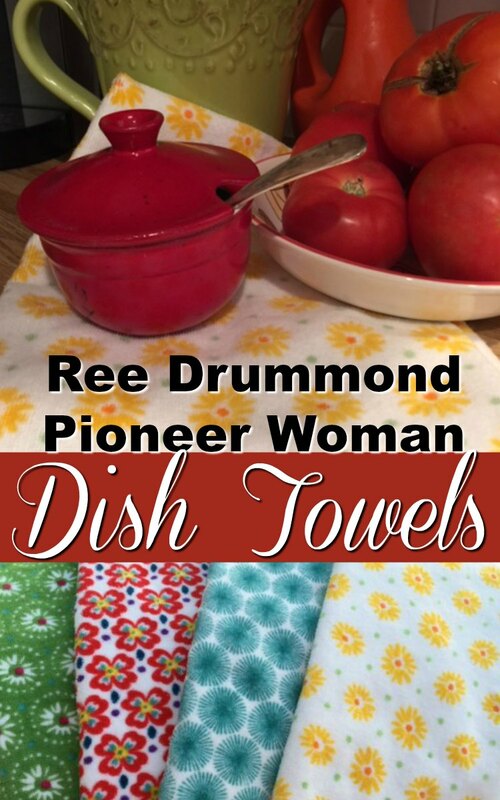 Have you seen the new Pioneer Woman Dish Towels? I was walking down the Walmart aisle and the Pioneer Woman Dish Towels caught my eye. I had decided not to buy new dish towels today, but I did. I couldn’t resist. They are so pretty!!! In a Hurry? 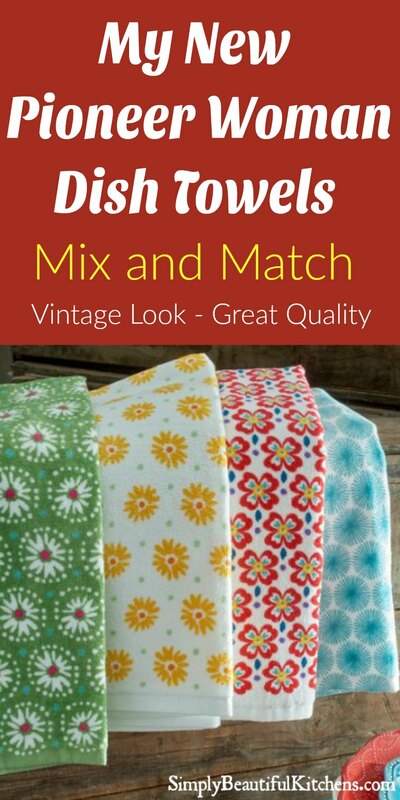 => Click Here to see the Dish Towels I bought from Pioneer Woman. Right away I could see they have a vintage feel, so I knew they were perfect for my kitchen. I immediately loved the way they felt. They felt like new receiving blankets you get for your baby. Soft and a bit of cushion. I thought they might be micro-fiber, but they are 100% cotton. When I got home, I washed them, and they fluffed up so nicely. 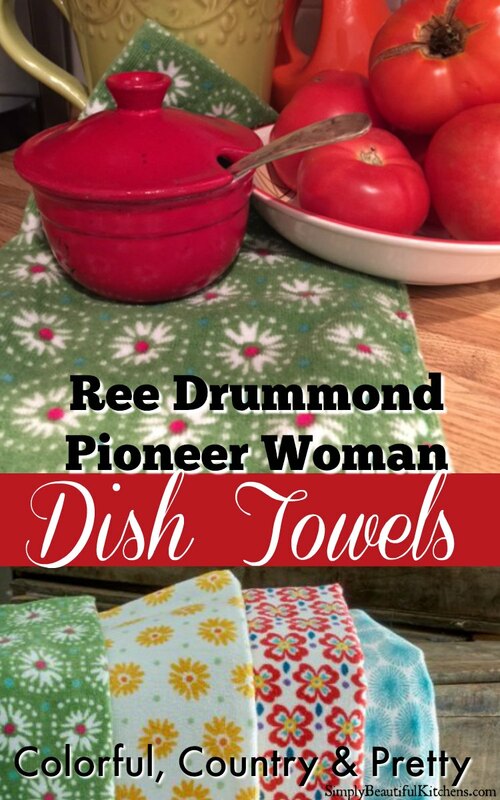 I am so proud to display these Pioneer Woman dish towels in my kitchen. 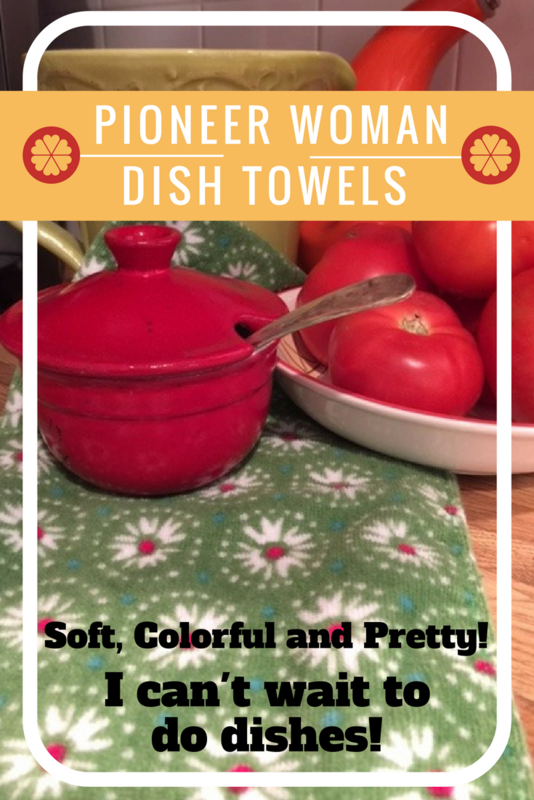 My Pioneer Woman Dish Towels! 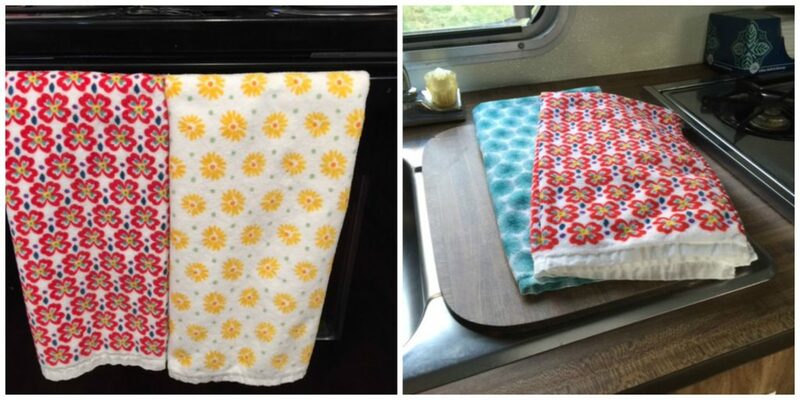 They Pioneer Woman dish towels that I picked up came in a pack of 4, so I took 2 outside to put in our Motor home. It always needs a bit of color to brighten it up. There are 4 different designs. One is a bright green. I am a sucker for green, but it has white flowers with a red center. That red jumps off the pattern. 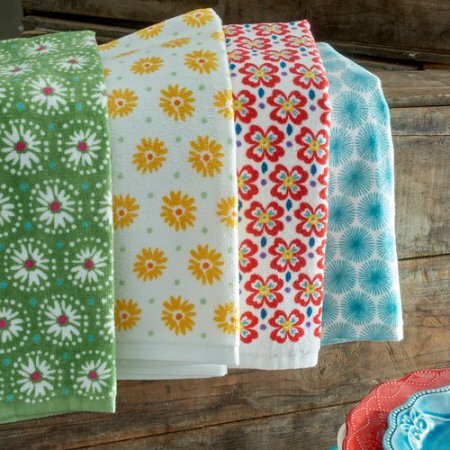 There is a yellow Pioneer Woman dish towel in the collection that looks a lot like the green design because the flowers are similar. It is a white background with yellow flowers and orange centers. It is so cute and one of my favorites. The Pioneer Woman had to put a teal dish towel in the collection. She likes teal. But it’s ok, I have green, red and teal in my kitchen too, so this is perfect. It is on a white background with just teal flower bursts on it. I really like it…it’s fun! 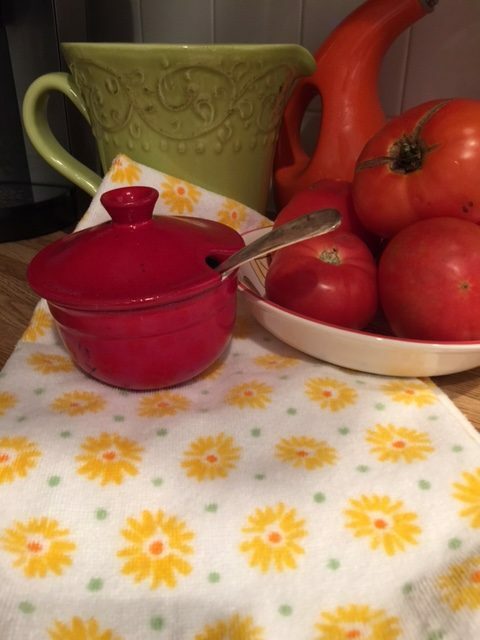 The last one in the Pioneer Woman Dish Towel Collection is a pretty red one. With a white background, the red flowers really stand out. There are blue, teal and yellow accents in this dish towel to tie all of them together. 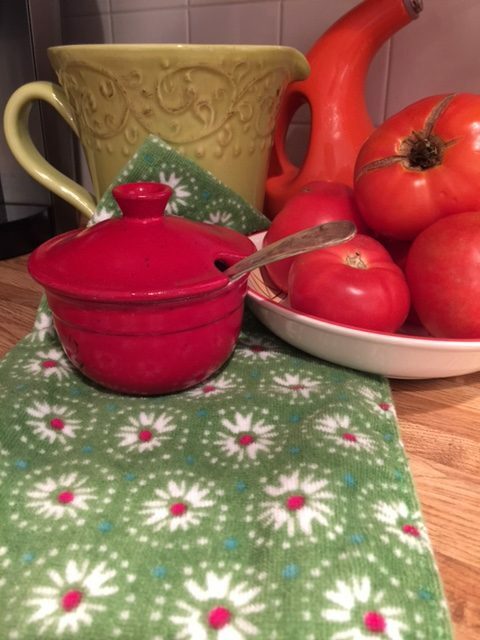 I am completely in love with my new Pioneer Woman dish towels. 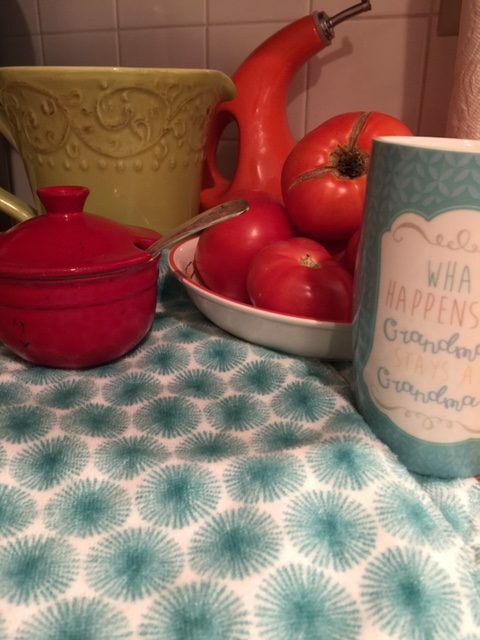 Did you notice how nicely they match my odds and ends I have on my kitchen counters? I truly believe in decorating with items that make you happy. These dish towels make me happy. So whether I hang them from the stove handle or use them in my RV, they look awesome everywhere! 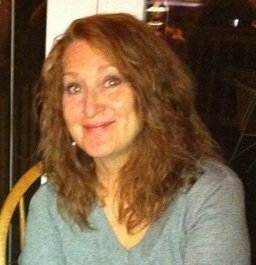 Ree Drummond, Pioneer Woman, makes every thing she touches pretty. 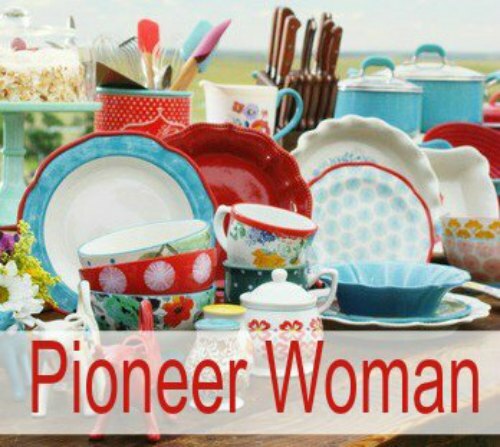 She has Pioneer Woman dish sets with coordinating Pioneer Woman coordinating dish towels. How cool is that? 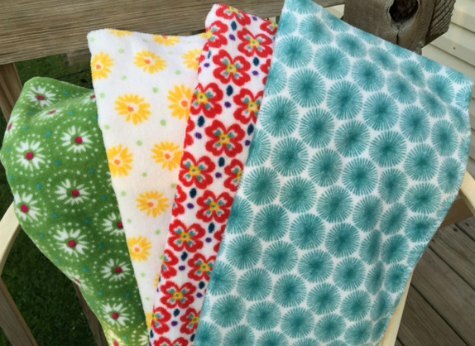 The Pioneer Woman dish towels come in a variety of color and packs. 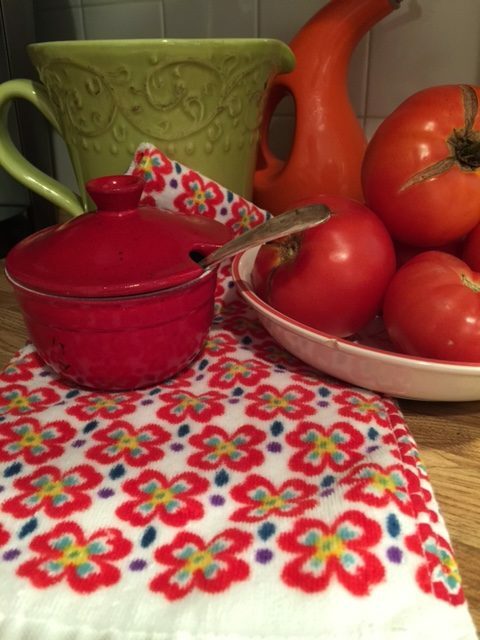 If you have one of the Pioneer Woman Dish Sets, then make sure to look for coordinating Pioneer Woman Dish Towels. If you have no will power at all….DON’T LOOK! 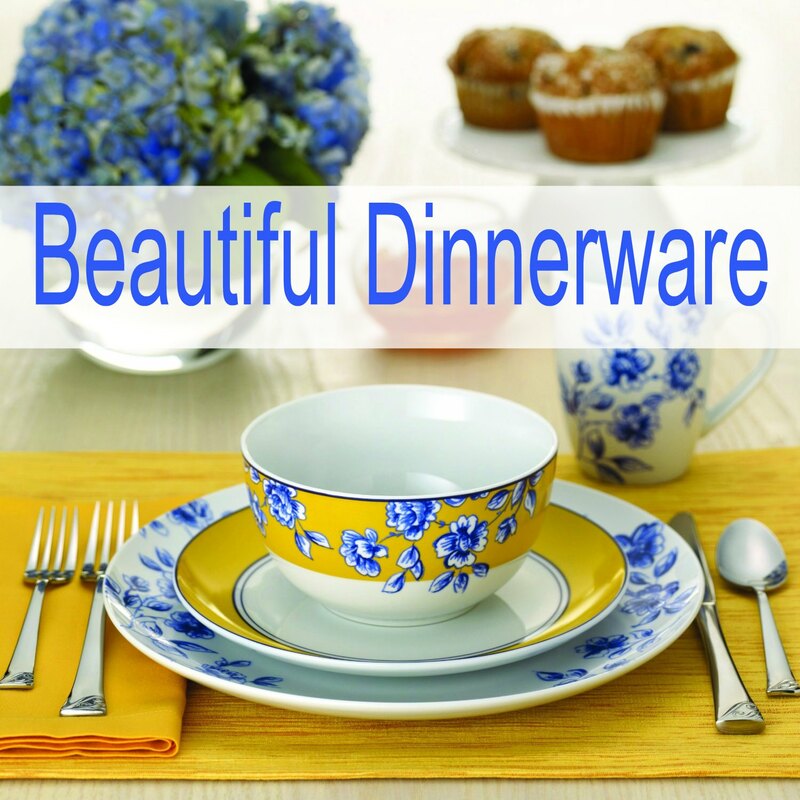 You can mix and match her dish sets with dish towels, aprons, glasses, bowls and so much more. 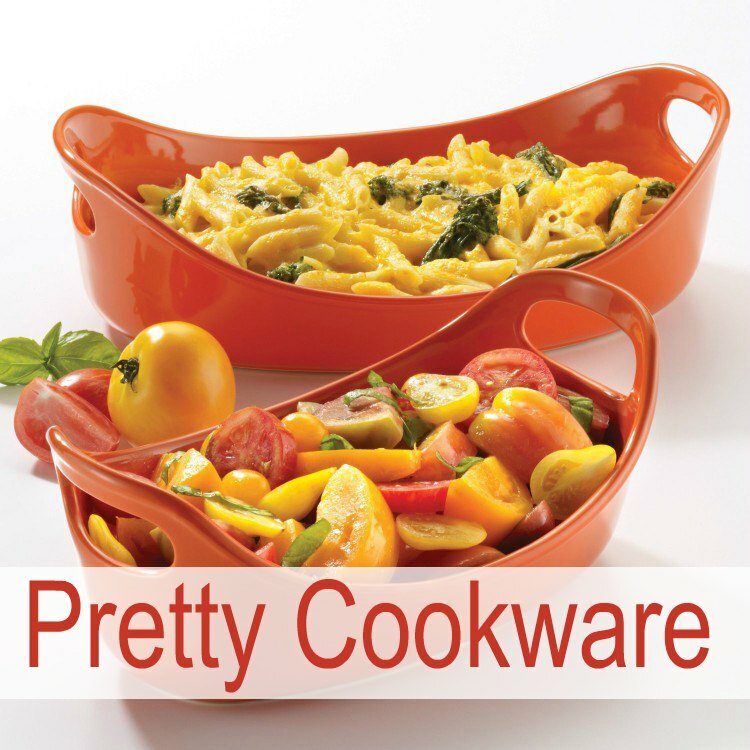 Check out everything the Pioneer Woman has at Walmart.com. Previous Post Are Melamine Dinnerware Sets Unbreakable? There may be affiliate links in this post. These earnings help us keep this wonderful website going strong. Exciting Things In This Post! My kitchen is my favorite room. I work hard to make it comfortable and a place I want to spend time. 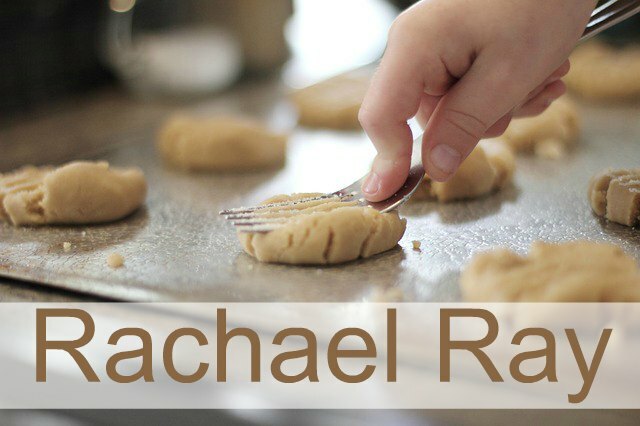 I hope my blog helps you find your comfy place in your kitchen too. 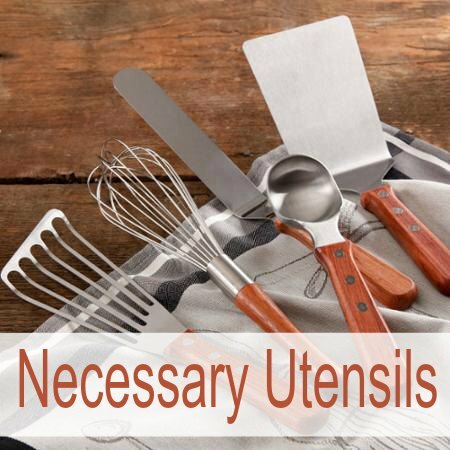 SimplyBeautifulKitchens.com is a participant in the Amazon Services LLC Associates Program and other affiliate programs, an affiliate advertising program designed to provide a means for sites to earn advertising fees by advertising and linking to Amazon.com and other merchants websites. You should always perform due diligence before buying goods or services online. The Owner does not accept payment or merchandise from manufacturers in exchange for writing reviews. Affiliate Disclosure: Simply Beautiful Kitchens is a professional review site that receives compensation from the companies whose products we review. 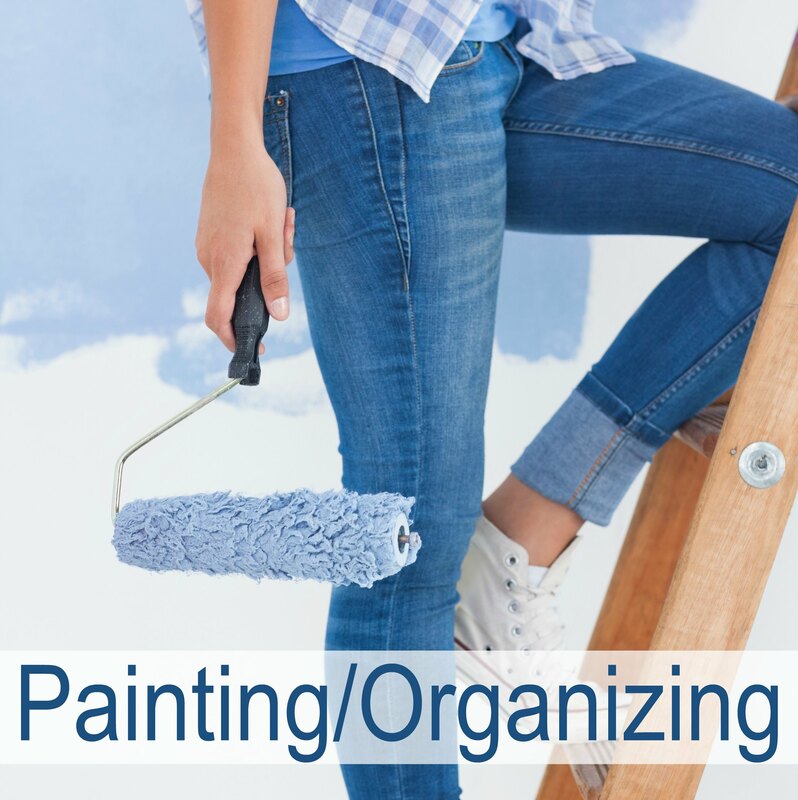 We review each product thoroughly and give high marks to only the very best. We are independently owned and the opinions expressed here are our own.